I've been a fan of edge painted business cards since I saw them on Pinterest, so when I saw a how-to involving spray paint I jumped at the chance. Unfortunately, it didn't work for me. After I redesigned my cards (part of my rebranding), I did a little more brainstorming because I was determined to make this work. Binder clips, trial business cards, acrylic paint and a dry paintbrush later, I was off to a good start. Then I realized there was a bit of a mess up on the cards. Not as much as the first trial, but it still wasn’t professional enough to hand out. I was doing my nails during the Real Housewives of Atlanta and thought of something and it was genius! - Acrylic craft paint, whatever color you want the edges to be or an acrylic paint pen (not the Sharpie pen. I will explain why later). - A short, flat paintbrush. C's Note: I ordered my cards from Moo.com. They're the classic version with a silk finish (not UV coated). The Luxe cards don't have the finish on them but they are thicker (32 pt) and most of these steps can be taken with them. Just have a piece of paper or a business card that's the same size just in case there's a tiny slip up. 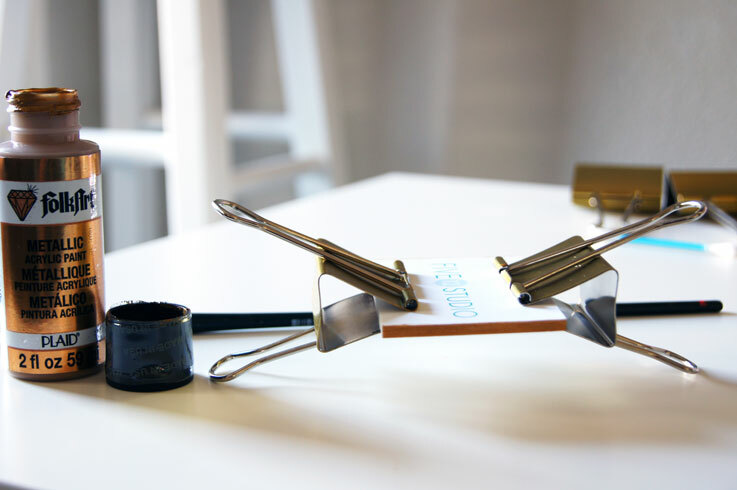 1) Make sure your cards are lined up evenly; place binder clips on opposite sides of your business cards. 2) Keep your paintbrush dry and dip it in the cap of your paint. Depending on the color and brand, apply 1-3 coats. 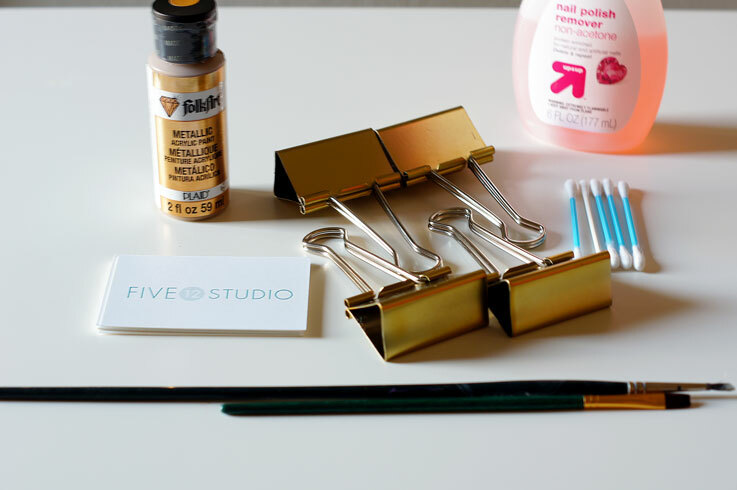 3) Take your extra binder clips and clip the sides painted. Do not remove your other clips before doing this. This will minimize smudging on other cards. 4) Paint the other sides, using the same method (see step 2). Set aside and allow them to dry. I waited 30 minutes to be extra careful, although acrylic dries quickly. 5) After they are completely dry, remove the binder clips and go through each card. If there aren’t any edges bleeding onto the card, congrats! You’re finished. If there are, go to step 6. 6) This step will take some time, so make sure you have some time. I'd suggest Bravo and catch whatever Housewife marathon is on (or HGTV. I go between the two). Note: this will only work on cards with a silk finish. Take your cotton swabs and firmly press on the card, getting rid of the excess paint. Think of using this like a magic eraser. If you're having trouble, dip your cotton swab in nail polish remover and clean it up. Let them dry off by air or rubbing a dry swab over the area. Ta-Da. You have edge painted business cards to go and share with the world. Ready to try it? Go nuts and let me know how it goes!